Real Estate Marketing: Consistency is the Secret – Don’t Give Up! Can Split Testing Improve Your Real Estate Ad Response Rates? I remember how frustrated I used to get whenever I would go to Craigslist.com or Backpage.com and post multiple ads for buyers, investors, sellers, or even my deals; I’d get responses here and there. I’d just keep re-posting the ads that wouldn’t get any responses, hoping they would eventually get me a lead. BTW – If you have also been getting little to no response with your advertising, then keep reading! I then came across and interesting concept… Split Testing. Split Testing Can Improve Your Marketing! I can’t tell you how crucial Split Testing is to your business. Split Testing will usually tell you if you have a good ad or not. What is Split Testing? Split testing is an extremely powerful strategy for increasing the effectiveness of your marketing. You can use it for almost anything. 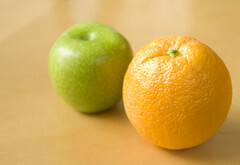 It is a way of testing two or more marketing campaigns and identifying which one is more effective.